Cappuccino marble is quarried in Turkey. It is a natural stone that has a deep beige background with accented waves and swirls of brown, cream, ivory, black, and bronze shades. It is a beautiful, luxurious, and very strong marble that possesses very little variations between slabs. 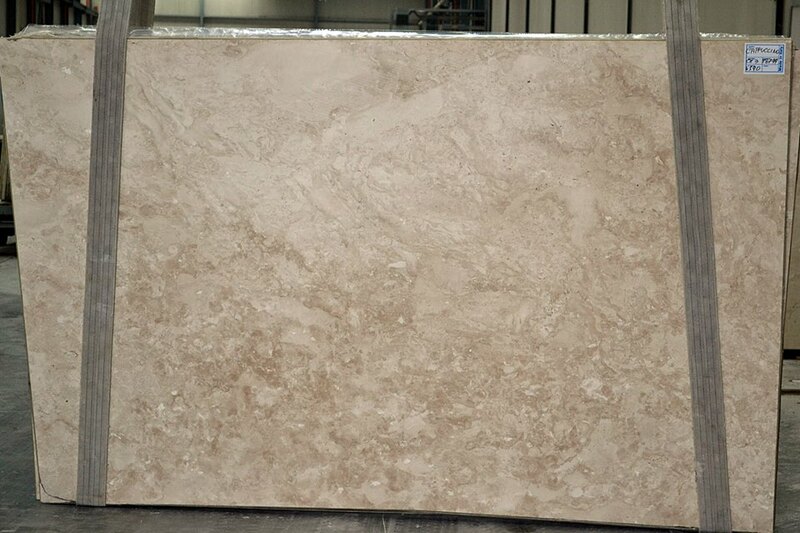 Cappuccino marble has a very nice mix of beige and brown colors with hints of white and even black. There are light and dark versions of Cappuccino. The dark marble has darker brown veins and shades, while the light marble has more of a beige background with fewer brown spots. The unique swirling patterns draw you in and create a focal point for any room in your home. It would work well for a fireplace surround, bathroom vanity, or kitchen island. Cappuccino is a very popular marble color because it has a warm, rich, and inviting appearance that would blend well with most cabinet colors and decorating schemes.